Acoustic ecology data have been used for a broad range of soundscape investigations. Counting sounds in a given soundscape is considered an effective method in ecology studies that provides comparative data for evaluating the impact of human community on the environment. In 2016, Kobayashi and Kudo collected a particularly valuable dataset containing recordings from within the exclusion (i.e., difficult-to-return-to) zone located 10 km from the Fukushima Daiichi Nuclear Power Plant in the Omaru District (Namie, Fukushima, Japan). These audio samples were continuously transmitted as a live stream of sound data from an unmanned remote sensing station in the area. In 2016, the first portion of their collected audio samples covering the transmitted sound recordings from the station was made available. Such data cover the bioacoustics in the area. 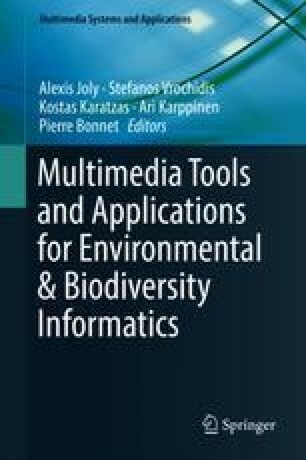 This paper describes the methodologies by which we processed these recordings, in extreme conditions, as preliminary eco-acoustic indexes for demonstrating possible correlations between biodiversity variation and preexisting radioecology observations. The variations in some of these vocalizations were also studied. Special thanks go to Fumikazu Watanabe and Laboratory Members. This study was supported by JSPS KAKENHI Grants 26700015 and 16K12666, MIC SCOPE Grants 142103015 and 162103107, JST PRESTO 11012, the Telecommunications Advancement Foundation, the Moritani Scholarship Foundation, the Tateisi Science and Technology Foundation, and the Mitsubishi Foundation. We thank the http://sabiod.org/EADM GDR CNRS MADICS that support development of the annotator platform. We thank Pascale Giraudet for annotation participation and other volonteers in Toulon and in Japan.